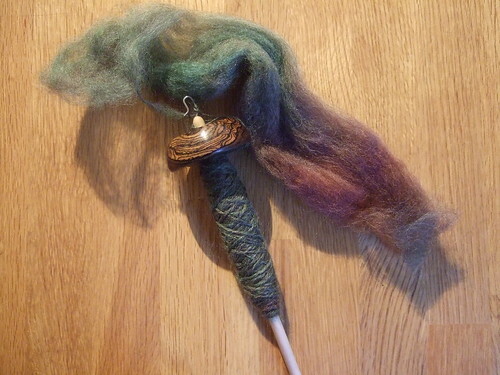 I have spent a lot of my free time spinning over the past couple of weeks. 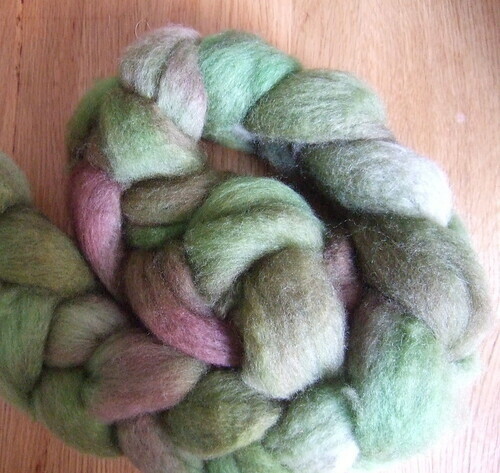 I dyed some more roving, and after spinning up a small amount, I decided that I wanted a slightly thicker yarn. 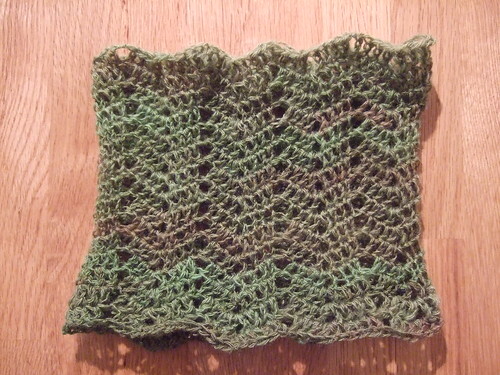 Rather than wasting what I had already spun, I decided to make another crocheted cowl. I’m trying the Ply on the Fly technique, which I really like. It’s nice to know that the yarn will be almost ready to work with when it comes off the spindle. Wow, that cowl is GORGEOUS! Did you design it? Your spinning is beautiful. I’m happy to know that Tammy’s Ply on the Fly technique works for you. The cowl is really nice! Hard to come by nice crochet patterns for a cowl. Happy spinning!